Tencent is building a huge data center in the hills of Guizhou, China, reportedly designed to the highest standards of civil air defense. Set on a 51-hectare site, the company has carved out more than 30,000 square meters (323,000 sq ft) of tunneled areas inside a 100 meter high hill, mixing new excavations with natural caves. Footage of the construction of the Gui’an Seven Star Data Center was broadcast by state-owned China Central Television (CCTV), showing five large entrances, each roughly 15 meters high and divided into two floors. The English-language version of the broadcast is available below, starting at 24:45. The facility will house ‘tens of thousands’ of servers, installed using Tencent’s T-Block modular platform, which involves shipping-container-like prefabricated data centers. In 2016, China’s Institute of Telecommunications of the Ministry of Industry and Information Technology claimed that T-Blocks had a power usage effectiveness (PUE) of 1.0955. The data center will store Tencent’s most essential data, the company told the South China Morning Post. Each entrance will be protected by a large, red metal gate, built to survive most disasters and attacks, and the area will be guarded by security robots, drones and artificial intelligence technologies like facial recognition. In addition to the security benefits, the company said that the hill design allows for a constant stream of external cold air, which should be able to cool the facility for 70 percent of the year. Tencent also made reference to the Sponge City concept, a plan by the Chinese government to reduce rainwater runoff in cities, reusing it where possible. The site could also make use of the region’s large supply of hydropower. “We are digging caves inside two hills in Guizhou, building the safest data center in China and we will store our best, most vital data there,” Tencent founder and chairman ‘Pony Ma’ Huateng said. The CCTV report makes reference to a similar Huawei facility being planned nearby, showing a hill that as yet has no visible signs of construction. A Guizhou government Weibo account post in March also confirmed that Huawei has plans to build a facility in Guizhou’s karst caves, while a Xinhua (China’s state news agency) report from last year noted that the company is building a data center in the area capable of storing 600,000 servers. Improved physical security, as well as temperature benefits, have caused data center operators around the world to consider building bunker-style data centers underground. In the December/January issue of DCD Magazine, we profiled two companies looking to repurpose cold war bunkers and missile silos as data centers, while in the June/July issue, we traveled deep inside a mountain in Norway to follow an attempt to turn a disused mine into Europe’s largest data center. The Gui’an Seven Star Data Center was not revealed in a conventional way - instead of a press release, site tour or any of the usual approaches, Tencent led with a joke. On April 1st, China’s most valuable public company announced that it would build an “AI Ecological Goose Factory” in Guizhou. While the company’s mascot is a penguin, it said that the bird had relatively high feeding conditions and that it would start with geese, before moving onto swans and penguins (it also has used geese before for marketing). The company also claimed to be working on goose-to-Chinese translation, goose disease screening and goose coffee. It said it had developed a smart foot ring for the waterfowl, which would track steps and other data, uploading it to Tencent’s cloud every three minutes. 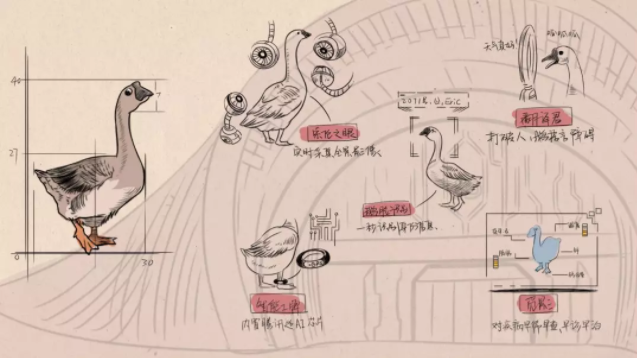 Alas, the goose farm was an April Fool’s prank, but now we know that the facility shown in the video (viewable here, in Chinese) is indeed real - but it stores data instead of geese. One of China’s poorest provinces, Guizhou has tried to bring in new investment by aggressively courting data centers and the ‘big data industry’ - offering tax incentives, establishing high tech zones and public-private partnerships, and discounting electricity costs. Earlier this year, Apple transferred its local data storage to a Guizhou partner; Alibaba, Foxconn, and more operate facilities in the province. The Chinese Academy of Sciences is also building a data center in Guizhou to process and store data generated by the Aperture Spherical Radio Telescope (FAST), a 500-meter long astrophysics research instrument. To create the radio-free zone the telescope requires, the government relocated more than 8,000 people. According to the provincial statistics bureau, 2017 saw the Guizhou government spend 18 billion yuan (US$2.8bn) on data transmission, software and information technology services, up almost 70 percent year-on-year. 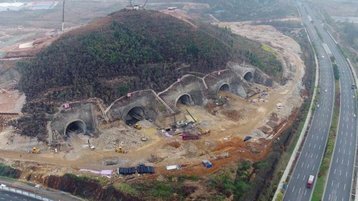 It spent 675.7 billion yuan (US$106bn) on various infrastructure projects in 2017, up 25.5 percent. Guizhou is also home to a joint venture between the local government and US semiconductor vendor Qualcomm, which in 2016 announced plans to develop Arm-based server chips. Today, the province claims economic output growth of 10.2 percent, the highest growth as a percentage in China.